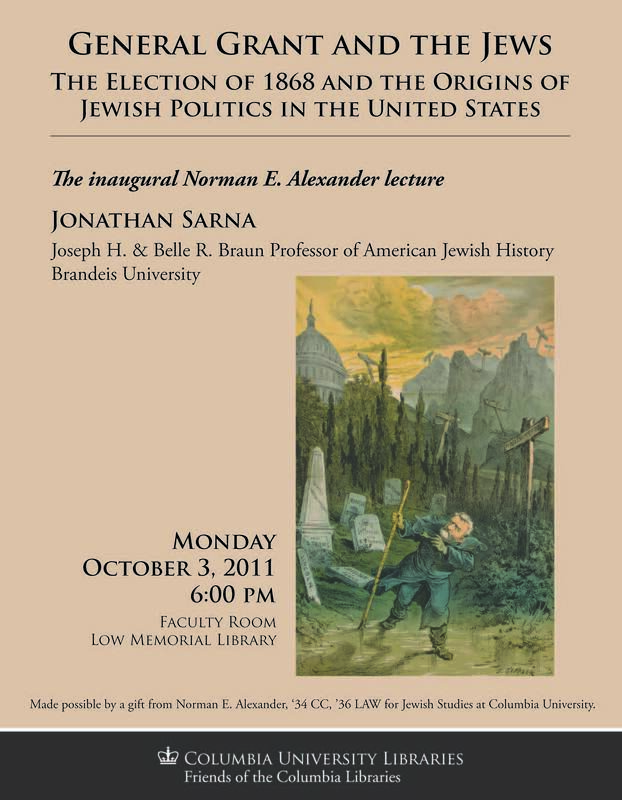 We are excited to announce that Professor James Kugel, the Director of the Institute for the History of the Jewish Bible at Bar Ilan University in Israel and a noted scholar and lecturer, will be giving the annual Norman E. Alexander Lecture in Jewish Studies on November 19, 2014. This entry was posted in Lectures and Events and tagged Bible, lectures on June 13, 2014 by Michelle. 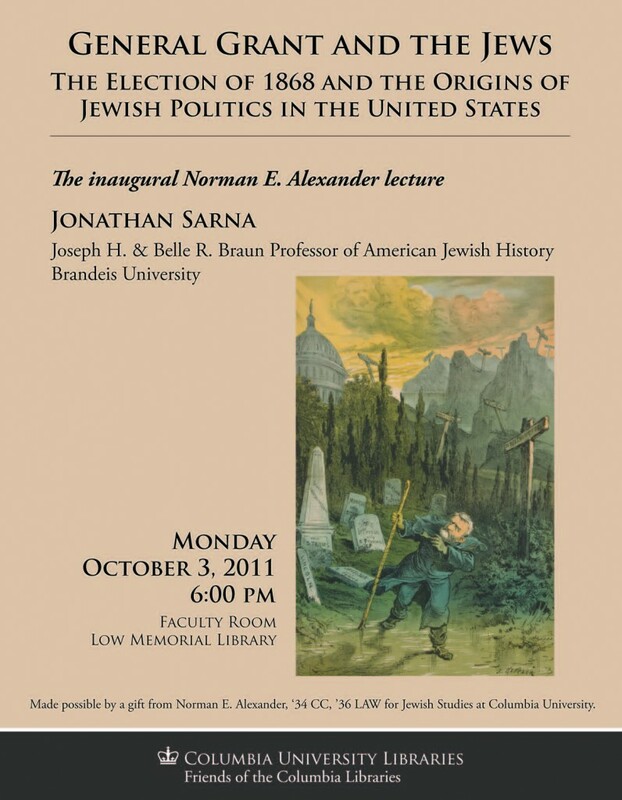 Please join us on Tuesday, November 27, for the 2nd Annual Norman E. Alexander Lecture in Jewish Studies. 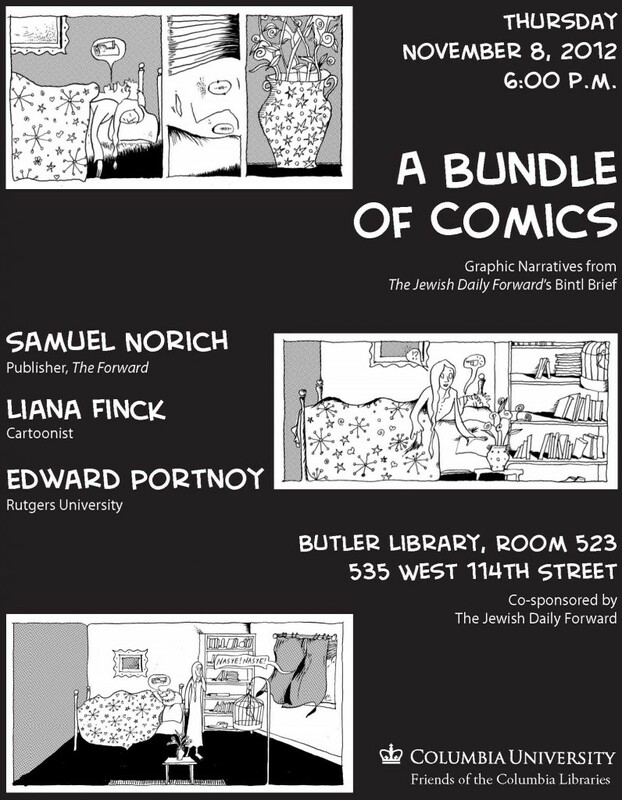 This entry was posted in Uncategorized and tagged lectures, Yiddish on November 26, 2012 by Michelle. 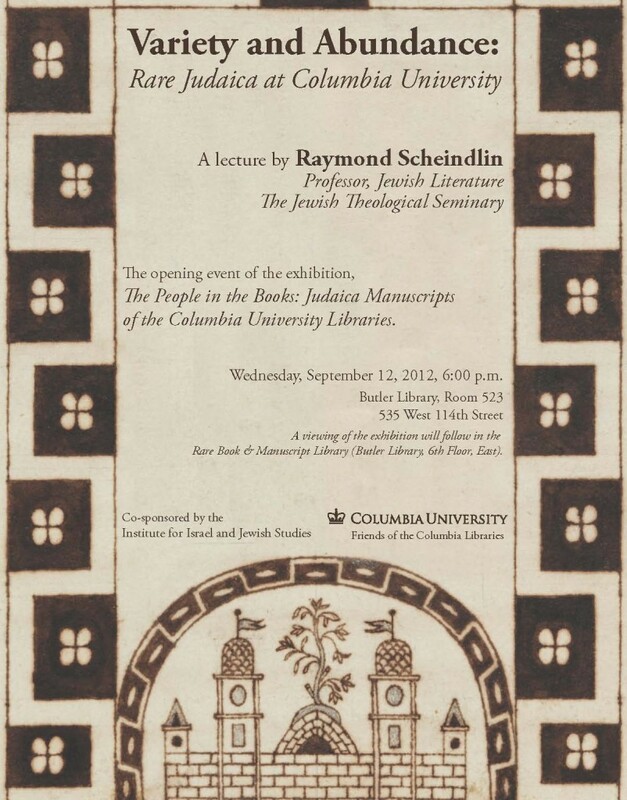 This entry was posted in Uncategorized and tagged Hebrew_mss@cul, lectures, RBML, The_P on August 29, 2012 by Michelle. All programs are in Room 523, Butler Library, on the Columbia campus. Start time is 6:00 PM. 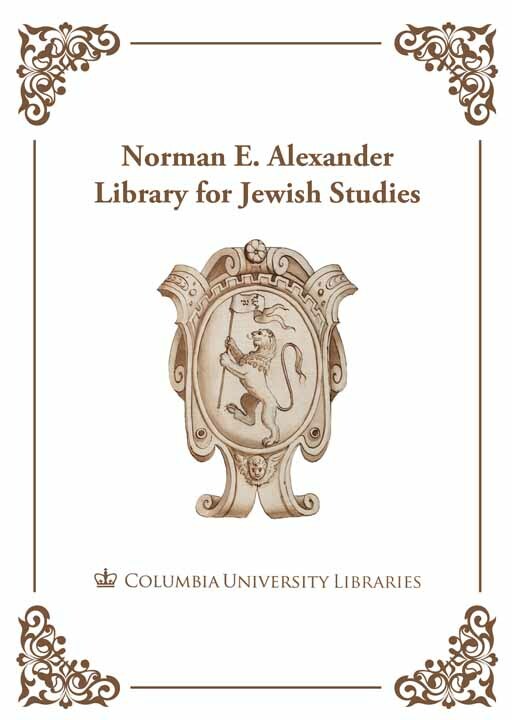 "Defining a Field: Jewish Books in the Age of Print"
The study of the Jewish book since the invention of printing has developed from a rather traditional, descriptive bibliographical discipline into an independent field of research in which the book is studied as an expression of Jewish culture and as an instrument for the transmission of Jewish and non-Jewish knowledge. The foundations for this new field were laid in medieval book research, in the fields of Hebrew codicology and Jewish art, to be more specific. In particular the leading medievalists Malachi Beit-Arié and Colette Sirat have defined new fundamental research questions, which are closely related to, and often precede modern research into non-Jewish medieval books. Their research is based on the careful study of large corpora of carefully selected primary source material, but is not limited to descriptive work. They have produced a number of monographs in which more fundamental research questions have been dealt with. For the centuries since the invention of printing a comparable development may be observed, but the results are not as definitive yet as those achieved for medieval Hebrew manuscripts. This lecture will address some of the pertinent methodological issues. Emile G.L. 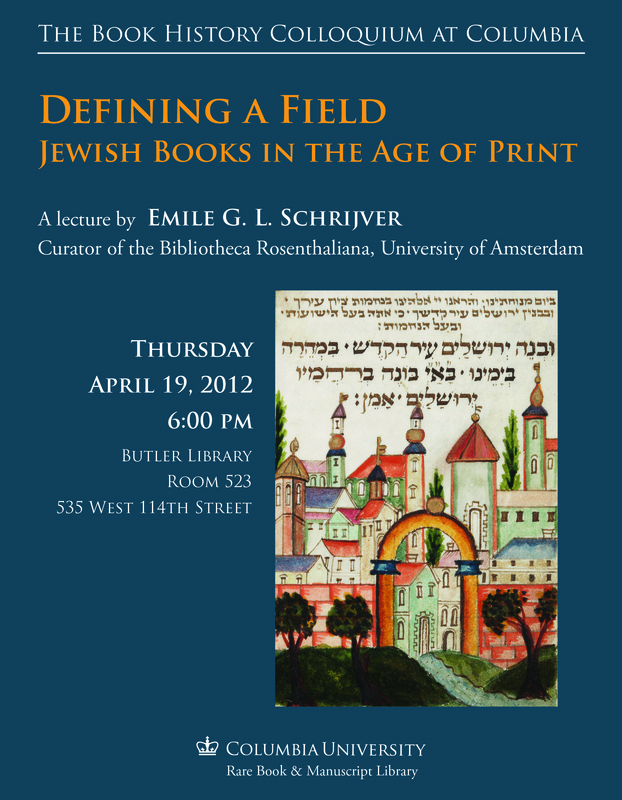 Schrijver is curator of the Bibliotheca Rosenthaliana, the Jewish special collection at the University of Amsterdam. He is also a curator of the private Braginsky Collection of Hebrew Manuscripts and Printed Books in Zurich, Switzerland. He is an expert of post?medieval Hebrew manuscripts and printed books and has published and lectured extensively on both topics. 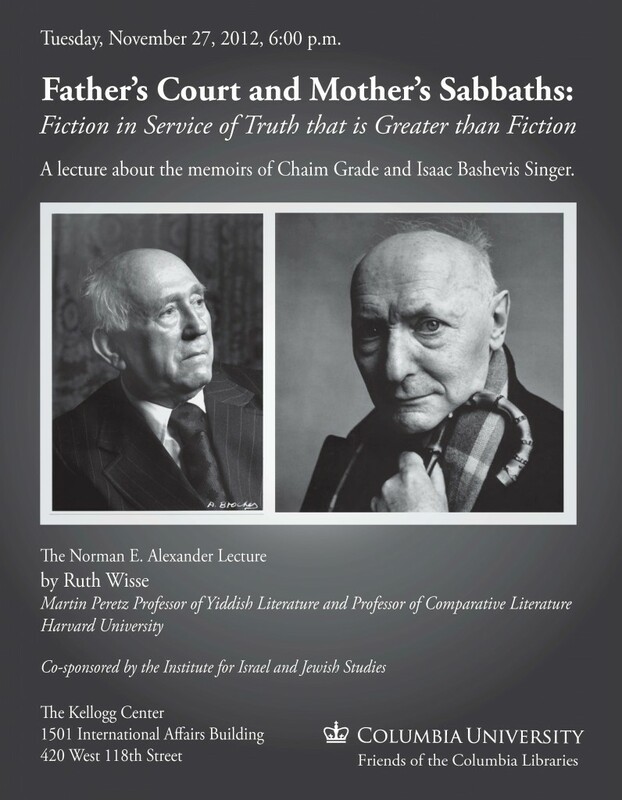 He has written a number of introductions to facsimile editions of Hebrew manuscripts and has published numerous auction and exhibition catalogues, most recently (2009, co-edited with Evelyn M. Cohen and Sharon Liberman Mintz) A Journey through Jewish Worlds. 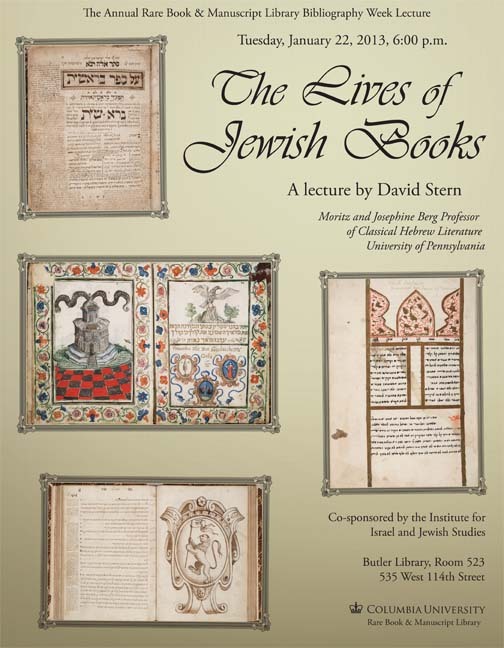 Highlights from the Braginsky Collection of Hebrew Manuscripts and Printed Books. A German version of this catalogue, entitled "Schöne Seiten: Jüdische Schriftkultur aus der Braginsky Collection", accompanies an exhibition in the Landesmuseum in Zurich (25 Nov 2011 – 11 March 2012). He serves on boards and advisory committees of numerous Jewish cultural organizations in and outside the Netherlands. 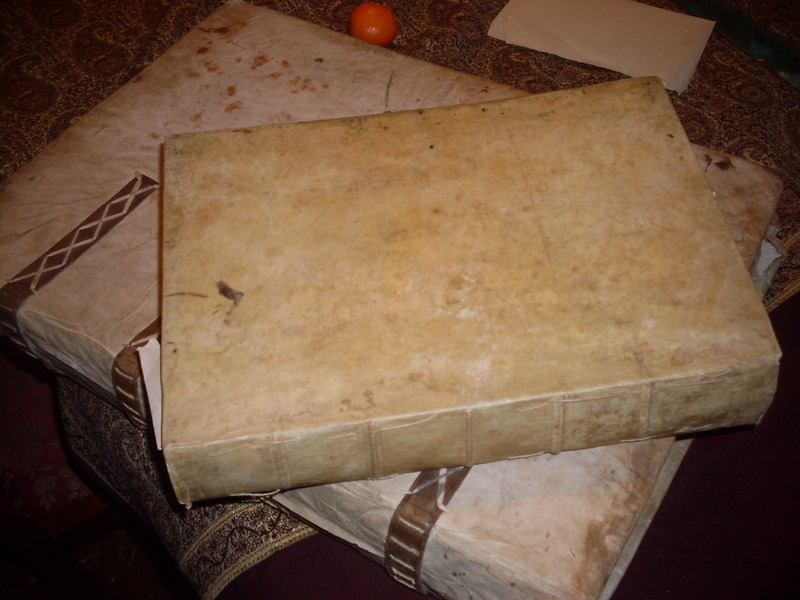 This entry was posted in Uncategorized and tagged Hebrew_printing, lectures, manuscripts, Rare_Books, RBML, Schrijver_Emile on April 2, 2012 by Michelle.